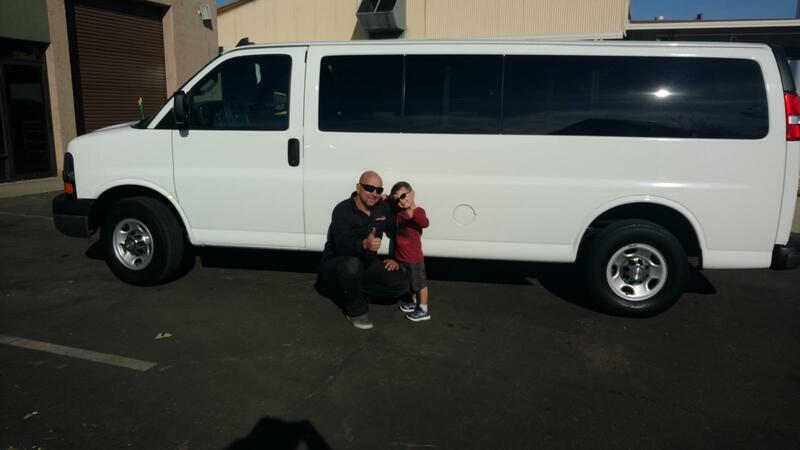 The Johnson Boys are ready to have some fun building a van for new adventures! 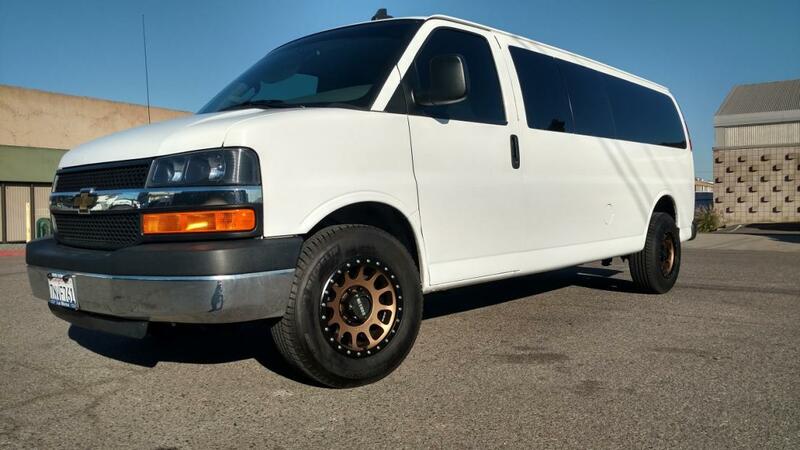 We recently purchased a 2016 Chevrolet Express 3500 2 wheel drive passenger van, 155" wheel base that is screaming for help being completely stock. We will be lifting it and building it as silly as possible but most is to be determined as we build. Kaiden who for some reason just loves van's (HEHEHE) and was super excited on the new Chevrolet and just wants to drive it around. He has been helping out dad in the shop since day 1 and just loves working with me and on his power wheels Jeep. If you have watched our videos he is always around and will make you smile and laugh. With that being said we will be trying to film lots of this build as we start a new Series of videos and blog named "Growing Up Garage" This will be a separate youtube channel and Facebook Page for you that are or are not interested in watching the crazy things we do! Here is a pic of the New Method Race wheels on our WeldTec Designs van build. Those are great looking wheels. Well done. That's awesome, Jeremy! Can't wait to see how it ends up. The wheels were a great addition to the stock van. 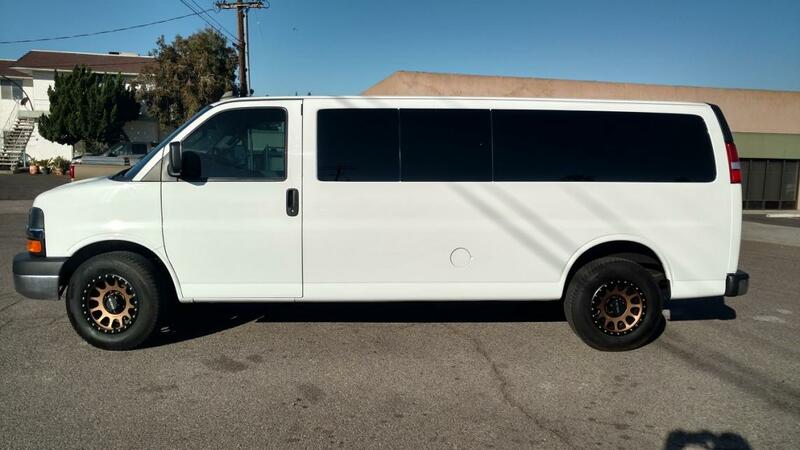 If you own one of these vans you know they do not have the greatest ride stock. The massive over laod springs make them great for towing and heavy loads, however when empty you feel every little pebble. So in order to make the stock ride better i came up with a Double Negative arc spring replacement. This will not affect ride height, and after testing them out for the last month I am confident you will like them. These can be installed in an hour or 2. Well I hope you are ready for another crazy build. Its all going to kick off tomorrow as Kaiden and the crew transform this Chevrolet Express 2 wheel drive into a 4x4 monster with lots of new WELDTEC DESIGNS components and those of our trusted suppliers. "ROAD TO SEMA, GROWING UP GARAGE EDITION!" Make sure you follow this build on our social media pages. Yep, you're braver than me! I collect vans not children.